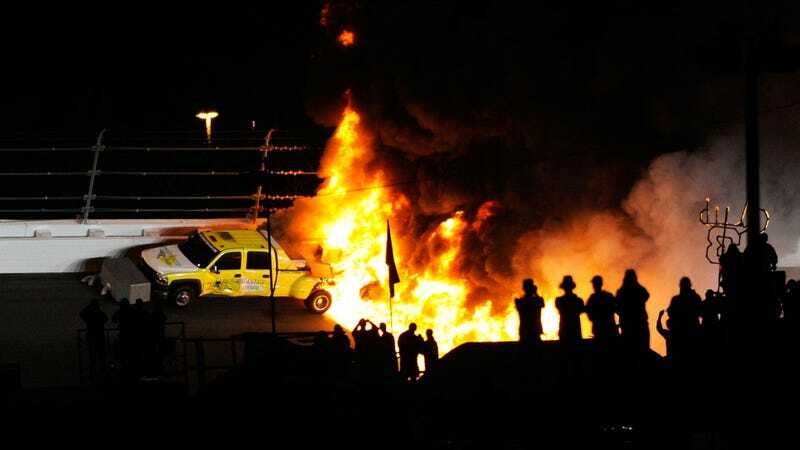 Once upon a late night at Daytona International Speedway, then-NASCAR driver Juan Pablo Montoya’s car broke loose under caution and slammed into a track-drying truck full of jet fuel. And, five years later, the co-owner of Montoya’s new sponsor introduced him as “Mr. Jet Dryer” at a car unveiling. Nope, not “Mr. Two-Time Indianapolis 500 Winner,” “Mr. Former Champion” or “Mr. Won Races in Three World-Class Racing Series.” They called this guy “Mr. Jet Dryer.” He’ll truly never live this down. In case you weren’t awake on Monday, Feb. 27, 2012 at around midnight Eastern Time for a rain-delayed running of the Daytona 500, Montoya smacked into a jet dryer circling the track with around 40 laps to go. It exploded, big time, and we reported at the time that around 200 gallons of jet fuel spilled all over the track and onto the grass before igniting and damaging the racing surface. Overall, it was a huge mess and an even later night than originally expected. 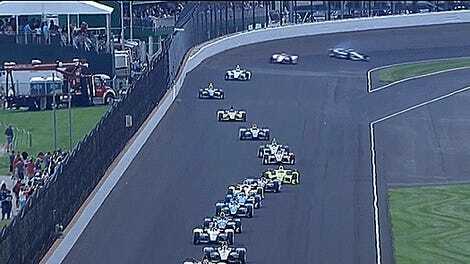 And apparently, Montoya’s sponsor for his single outing in the Verizon IndyCar Series in 2017, the Indianapolis 500, hasn’t forgotten about it. The moral of the story here, probably, is don’t run into jet dryers and delay the Daytona 500 into all hours of the night. Unlike all of those embarrassing selfies you took when the peace sign was cool, this kind of thing can’t be removed from the internet—or everyone’s memory—so easily.